New ILO Member Serving Napanee Coming Soon! Being injured in a slip, trip and fall accident due to the negligence of another party can be a difficult and burdensome event for a victim. Not only do you have to deal with the physical pain from the injuries you sustained, but seriously injured victims also have to grapple with economic and financial difficulties and the logistics of needing help with work and daily activities. Slip, trip and fall accidents may seem like simple mishaps but they can have serious and long term effects. When you have been injured in a slip and fall accident, you must first immediately seek medical treatment and then consult with a personal injury lawyer to help you determine your legal rights and if justifiable, begin a claim for your costs and damages. External injuries such as cuts and broken bones may be obvious but internal injuries are not. Symptoms of internal injuries may not reveal themselves for several hours, days or even, weeks, and victims tend to think that they are fine and do not need medical treatment. This can be dangerous and may cuse future complications and worsening of one’s health when the original source of injury is not immediately dealt with. There are some precautions that we can take personally to prevent slip and fall accidents. This includes wearing appropriate footwear for weather or workplace conditions to reduce the risk of falling, and using a flashlight or cellular phone light to illuminate poorly lit areas. However, no matter how cautious we are, accidents still happen, and often due to situations that are outside of our control. Most importantly, property owners and operators must properly maintain their buildings and properties and should respond quickly to fix structural problems that put others at risk of being injured. Having well lit stairwells, walkways and parking lots, and replacing lights promptly when they are no longer functioning is key in preventing slip, trip and falls. Good exterior lighting can reduce the likelihood that a person may be assaulted, as well. Property owners must clear away or at least, provide warning of obstructions, such as carpeting defects or construction materials, which may result in a trip and fall. Clearing up spills and snow removal on sidewalks on a timely basis, are also clear responsibilities of property owners and managers. When reasonable care has not been taken to keep properties safe for visitors, clients or the public, property owners are liable for any injuries and damages that result from slip, trip and fall accidents. Thousands of slip and fall accidents are reported every year in Canada and Napanee is no exception. The combined costs of slips, trips and falls to Canadian taxpayers is over 15 Billion dollars annually, as determined by the Northern Brain Injury Association (http://nbia.ca/slips-trips-falls/). This includes the direct costs of these accidents as well as long term rehabilitation treatment costs. Slips, trips and falls often result in bruises, sprains, broken bones and cracked ribs, but more severe injuries such as brain and spinal injury and even death are more frequent than most people realize. Anyone who has been injured in a slip, trip or fall accident due to the possible negligence of others, is strongly advised to seek legal assistance from an experienced personal injury lawyer. 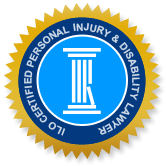 The Injury Lawyers of Ontario (ILO) specialize in personal injury cases, particularly slip and fall accidents, motor vehicle accidents, brain and spinal injury cases, wrongful death and product liability claims. The ILO law group provides a high quality of legal representation and the necessary expertise to achieve the best result possible for our clients. If you have been injured in an accident and are unable to drop by our office, we can come to your residence at a time convenient for you. Through our free initial consultation, we will determine whether your claim is justifiable and begin a claims process built on your unique situation. Our legal staff can answer your questions concerning the compensation you should expect to receive, the length of the process, and which experts should be consulted both for your personal injury claim and rehabilitation. Timing is of importance when making a claim, so we urge Napanee and area victims to contact our ILO office at your earliest convenience.